One of the lesser known responsibilities of the Chews Landing Fire Dept. 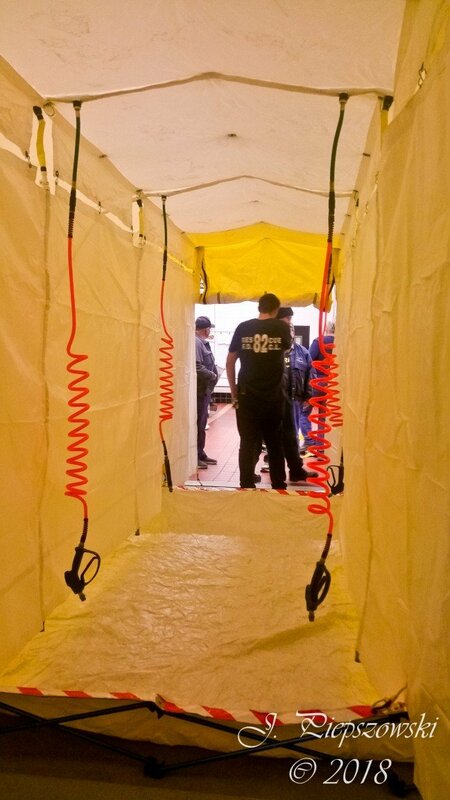 is utilizing HazMat 8 to respond to Hazardous Materials (HazMat) Incidents, not only in Gloucester Twp., but all throughout Camden County. 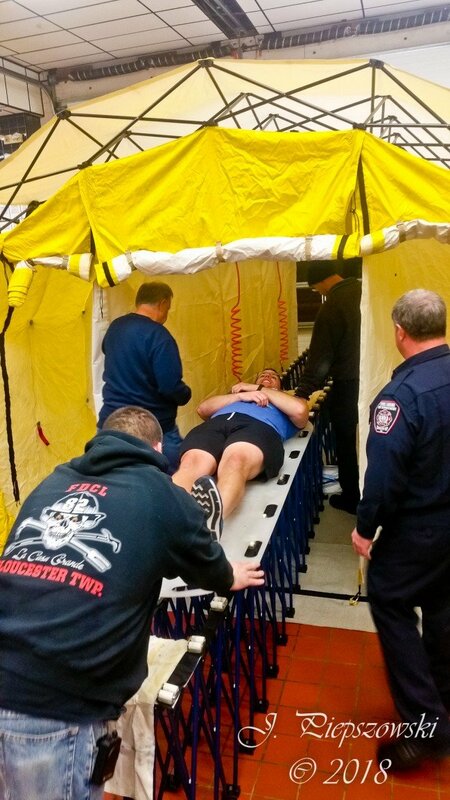 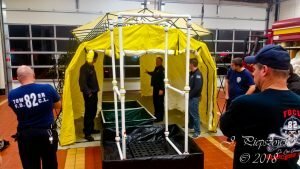 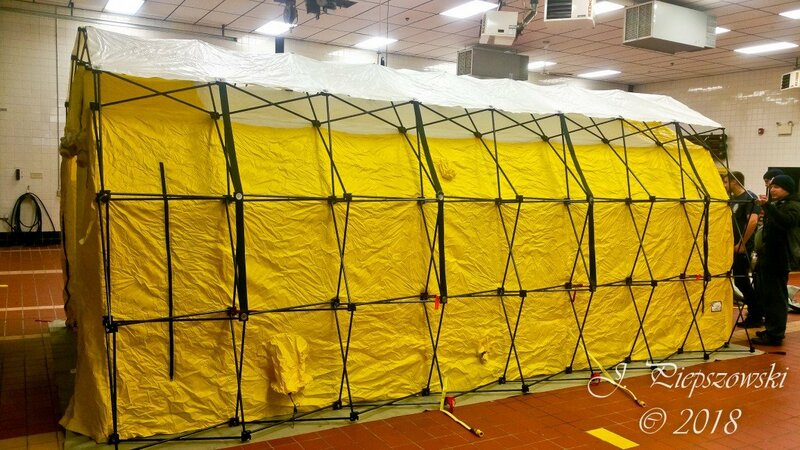 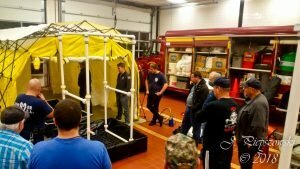 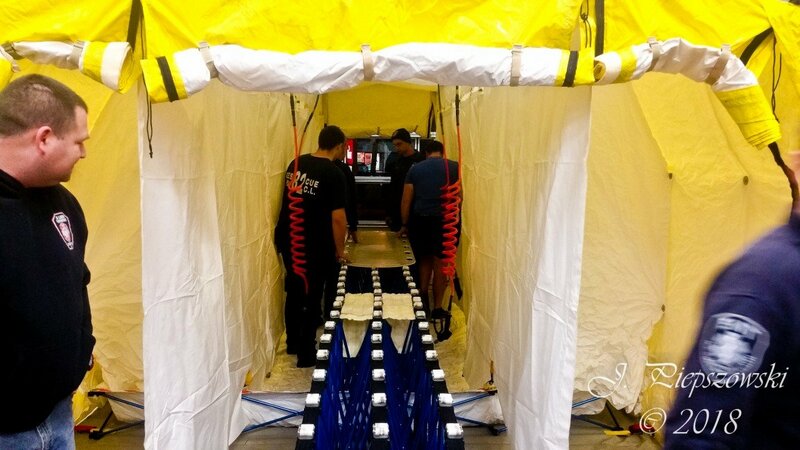 On Monday Nov. 19, members took the opportunity to review and work on one aspect of that mission, HazMat Decon, as part of our ongoing training. 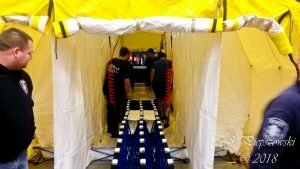 This decontamination allows the quick removal of most, if not all, hazardous substances that individuals may have been exposed to, whether they be emergency responders working to mitigate a situation or civilians that were affected. 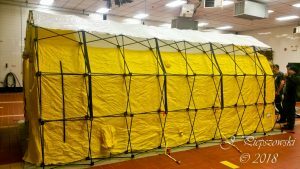 A number of different tactics and methods can be used, depending on the type, quantity, and physical state of the material, as well as the number of people affected. 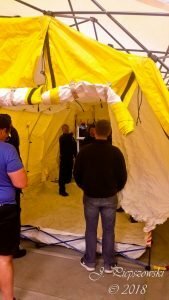 Interested in joining us or learning more about what we do? 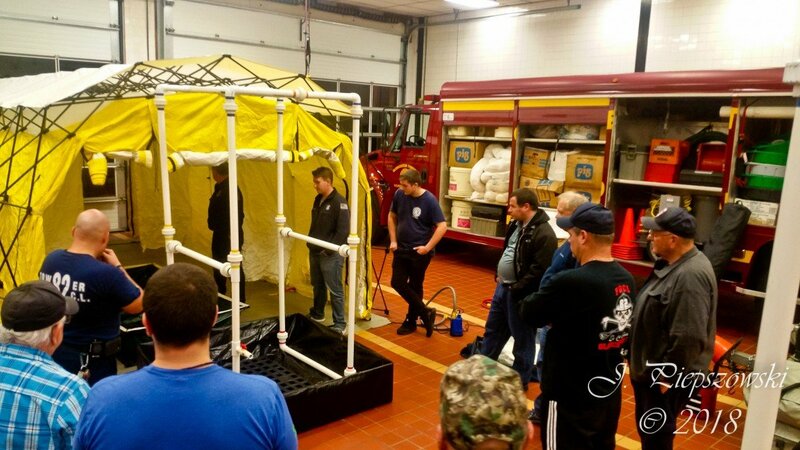 Stop by the station any Monday evening at 7pm and see what we are all about.